All across the U.S., but especially in New Hampshire, farmers are aging. Willow Brook Farm & Art Center ensures their knowledge and love for growing local food endures and expands. We follow the farmers’ own wisdom by building an environment with perfect conditions to germinate new farmers. 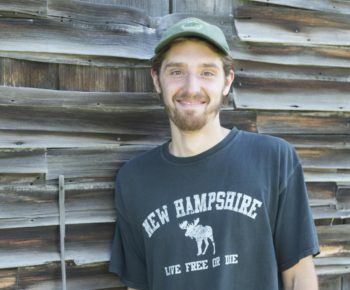 Willow Brook Farm & Art Center is a nonprofit permaculture homestead in central NH that strives to increase the number and long-term success rates of organic famers by providing Beginning Farmer Fellowships to ambitious young farmers. Through these two-year fellowships, we provide the seeds, tools, and training for beginning farmers to develop and grow their own farming practice and business in a low risk environment with support, mentorship and collaboration. 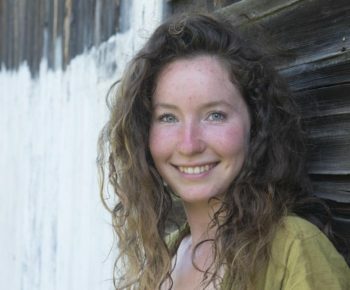 Through the fellowship provides beginning farmers with housing, access to land and equipment, a stipend, mentoring, and a helping hand to incubate and launch New England’s next generation of sustainable farmers. Farming is tough business – farmable land is hard to find and, along with the necessary start-up equipment, is often prohibitively expensive. Farmers must work long hours and it takes years to set up productive gardens. Most farmers struggle with oppressive debt before they are able to generate a stable income. Farmers wanting to get started often don’t have the means to purchase land and equipment. In a world of large conglomerates and huge agribusiness, it has become even more important to know and support the farmers that grow our food. Small farmers are crucial to keeping our air breathable, water drinkable and food flavorful. As a society, we need to support permaculture and organic growing and we need to encourage and support young people to farm sustainably. Willow Brook Farm & Arts Center puts your dollars to work to do just that. Willow Brook Farm is a 75-acre permaculture homestead in central NH (located in the greater Concord Area) founded in 2014 and is a tax-exempt 501(c)(3) charitable organization. After extensive renovation of the antique colonial farmhouse, Willow Brook Farm is pleased to offer its inaugural Beginning Farmer Fellowship in 2016. The farm was originally established in 1840 and used for agriculture through the first half of the 20th century. Since most of the original fields returned to mixed hardwood forest over the years due to their lack of use, in 2015, we cleared a patch of forest to return the land to field production. The farm property contains trails, streams and ample wood resources. We established Willow Brook Farm to incubate and launch beginning farmers’ who would embrace organic growing and permaculture practices. We are at the early stages of a long-term vision, which also includes our offering public workshops, community events, public art, and art residencies – all with the goal of forwarding sustainable living. The property currently produces and supports annual vegetables, a goat dairy, Christmas trees, hops, maple syrup, and honey. While not at commercial scale, we also have apples, pears, and raspberries. The property includes a large barn. Donate today to support Austin and Taylor’s bright future as organic farmers. We are grateful for any support you can offer! 100% of your donations directly fund the first year of Austin’s & Taylor’s fellowship. Your support provides housing and utilities, access to land, a weekly stipend, tools and resources, seeds and everything they need to begin a successful farming business. If we are fortunate to raise more than our initial goal, funds will go toward several of our other goals which include awarding another fellowship, building our planned artist studio cabin, and some much needed barn repair. We are also planning and planting an infrastructure of crops that, in five to seven years, will provide a sustainable revenue stream to support the Beginning Farmer Fellowships. I recently had the privilege to join Senator Jeanne Shaheen and Representative Chris Pappas at the 2019 Climate Impacts Maple Breakfast hosted by the Union of Concerned Scientists at the University of New Hampshire. I was on the panel with Jennifer Wilhelm of the NH Food Alliance and Peter Whelan of Shoals Fly Fishing to discuss our observations and thoughts regarding the changes that we are witnessing and potential solutions. I was pleased to see how well attended the event was with highly engaged students, climate scientists, farmers and generally a lot of people who love maple syrup. While there are many significant challenges ahead, I was encouraged to hear both Senator Shaheen’s and Representative Pappas’ strong commitment to support science, action and agriculture in our state. With the average age of NH farmers increasing, programs like ours at Willow Brook Farm & Art Center are more needed than ever to keep agriculture strong and sustainable.